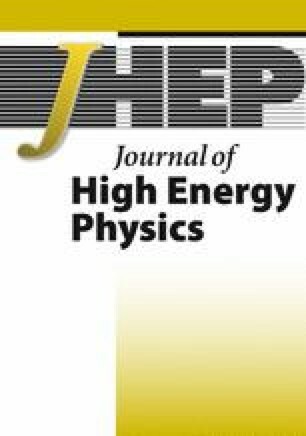 We show how to obtain a consistent thermodynamic description of accelerating asymptotically AdS black holes, extending our previous results by including charge and rotation. We find that the key ingredient of consistent thermodynamics is to ensure that the system is not over-constrained by including the possibility of varying the ‘string’ tensions that are responsible for the acceleration of the black hole, yielding a first law of full cohomogeneity. The first law assumes the standard form, with the entropy given by one quarter of the horizon area and other quantities identified by standard methods. In particular we compute the mass in two independent ways: through a Euclidean action calculation and by the method of conformal completion. The ambiguity in the choice of the normalization of the timelike Killing vector can be fixed by explicit coordinate transformation (in the case of rotation) to the standard AdS form or by holographic methods (in the case of charge). This resolves a long-standing problem of formulating the thermodynamics of accelerating black holes, opening the way to detailed studies of their phase behaviour. J.B. Griffiths and J. Podolsky, A New look at the Plebański-Demianski family of solutions, Int. J. Mod. Phys. D 15 (2006) 335 [gr-qc/0511091] [INSPIRE]. R. Gregory and M. Hindmarsh, Smooth metrics for snapping strings, Phys. Rev. D 52 (1995) 5598 [gr-qc/9506054] [INSPIRE]. S.W. Hawking, G.T. Horowitz and S.F. Ross, Entropy, Area and black hole pairs, Phys. Rev. D 51 (1995) 4302 [gr-qc/9409013] [INSPIRE]. R. Emparan, Pair creation of black holes joined by cosmic strings, Phys. Rev. Lett. 75 (1995) 3386 [gr-qc/9506025] [INSPIRE]. D.M. Eardley, G.T. Horowitz, D.A. Kastor and J.H. Traschen, Breaking cosmic strings without monopoles, Phys. Rev. Lett. 75 (1995) 3390 [gr-qc/9506041] [INSPIRE]. R.B. Mann and S.F. Ross, Cosmological production of charged black hole pairs, Phys. Rev. D 52 (1995) 2254 [gr-qc/9504015] [INSPIRE]. I.S. Booth and R.B. Mann, Complex instantons and charged rotating black hole pair creation, Phys. Rev. Lett. 81 (1998) 5052 [gr-qc/9806015] [INSPIRE]. J. Podolsky, Accelerating black holes in anti-de Sitter universe, Czech. J. Phys. 52 (2002) 1 [gr-qc/0202033] [INSPIRE]. L. Smarr, Mass formula for Kerr black holes, Phys. Rev. Lett. 30 (1973) 71 [Erratum ibid. 30 (1973) 521] [INSPIRE]. J.B. Griffiths, P. Krtouš and J. Podolsky, Interpreting the C-metric, Class. Quant. Grav. 23 (2006) 6745 [gr-qc/0609056] [INSPIRE]. J. Podolsky, M. Ortaggio and P. Krtouš, Radiation from accelerated black holes in an anti-de Sitter universe, Phys. Rev. D 68 (2003) 124004 [gr-qc/0307108] [INSPIRE]. 4.Centre for Particle TheoryDurham UniversityDurhamU.K.